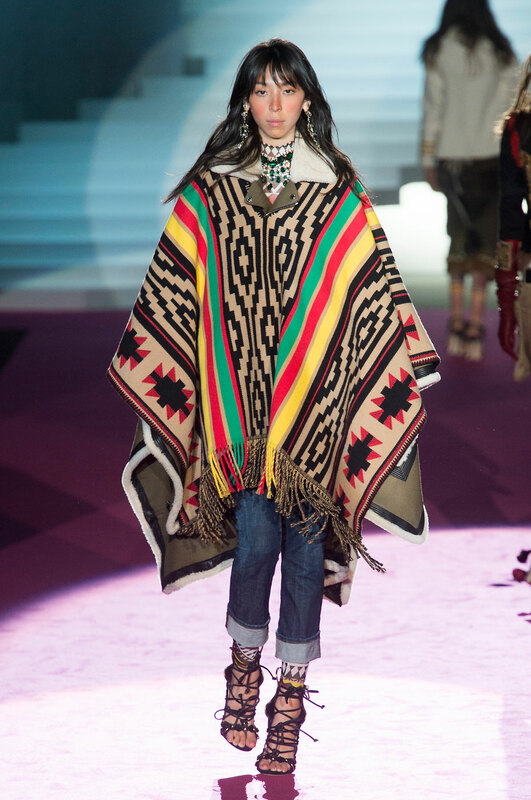 Dsquared2 Women Autumn-Winter 2015 - This season military is given a Native American update by Dean and Dan Caten. 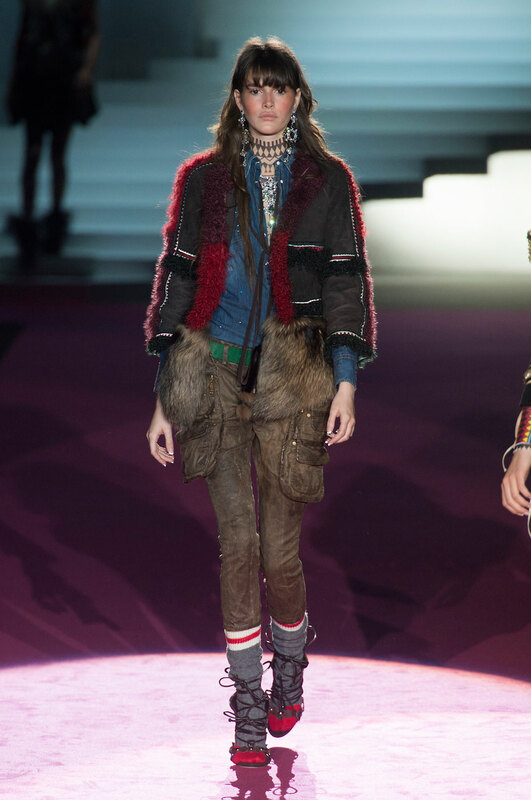 The utility trouser is back in full swing for Dsquared2’s autumn winter collection, with customised oversized pockets and fur seaming in rich burgundy. The earthy tones are apparent throughout the collection, introduced through neutral tribal designs on bodysuits that clash against aztec detailing on coats and footwear. 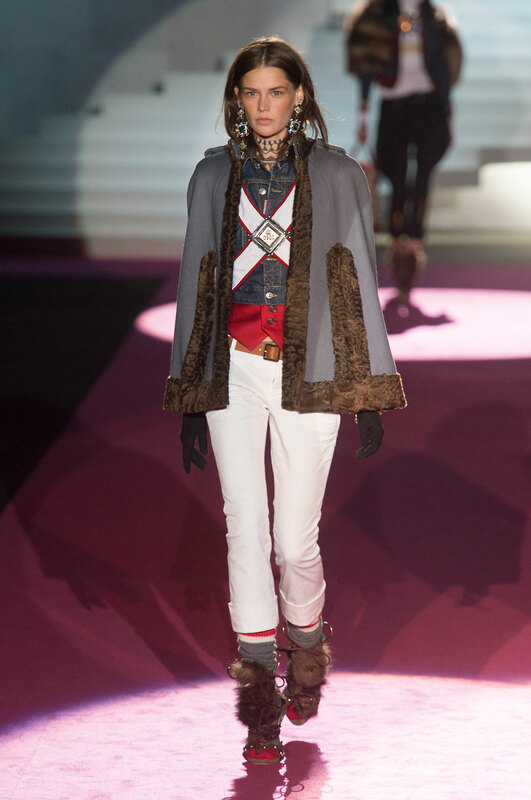 Aspects such as the powerful capes and luxurious shearling impose a tribal theme; However when combined with smart structured military jackets and shirts, these looser, wild looks are given a contemporary fearless edge. Intricate gold embroidered detailing throughout the collection somewhat creates a balance, both representing the earthy tribal tones and richness of the military designs. There is also a touch of the seventies hidden within the extravagant looks, with tied necklines, tailored cropped trousers and arm length gloves also making an appearance. The themes highlighted within the collection are nothing alike what we have seen this week in Milan, however Dsquared2 have been equally successful, presenting us with striking pieces for AW15.